We almost thought summer was here to stay, but with low pressure moving, more change is on the way. There is potential of a dry day or two over the weekend. As predicted, the fine, warm weather did not last long, and in came the wind and rain. Farmers Weather expert, Dr Simon Keeling gave his predictions for the coming week. He said: "Low pressure has drifted over the UK in the last few days, forcing the fine conditions of last week to move away and now introducing a much more mixed airmass. "Showers or longer spells of rain are likely for almost all of us through the early stages of this week, with the most persistent rain in northeast Scotland. "However, things are likely to be improving from the west in the second half of the week as a ridge of high pressure builds here. "It might take some time to reach eastern areas, but overall by Friday we might just have a few showers in eastern England with drier weather to the west. "This could lead into a dry day or two through the weekend. "As for next week, don’t be surprised to see the mixed weather returning once more." 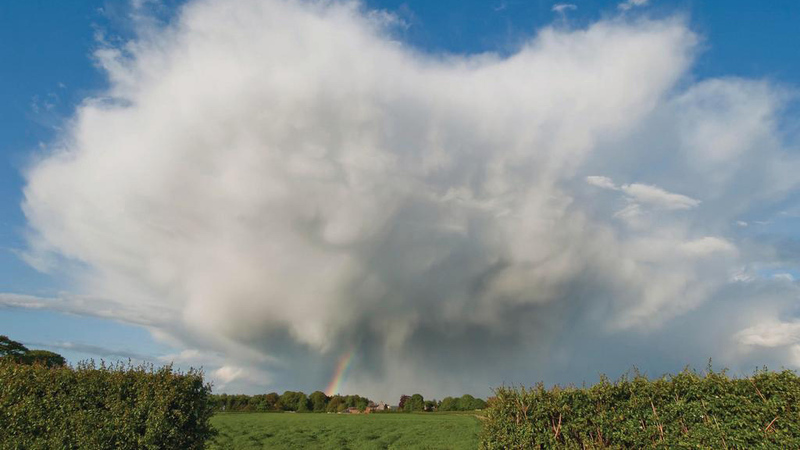 Keep up to date with the weather in your area by watching the twice weekly videos at FarmersWeather.